A man who owns a hammer sees the world only as a nail. I heard this expression in connection with those that spend all their time at the gym seeking physical strength in order to look more intimidating. If you go around looking for a fight, you will likely find one. The problem is that your hammer will only fasten the nail provided your opponent does not have a bigger hammer. The above image is of my wife and two sons together with our extended family in karate which includes our own instructor Sensei Geovanny Sanchez Salazar. 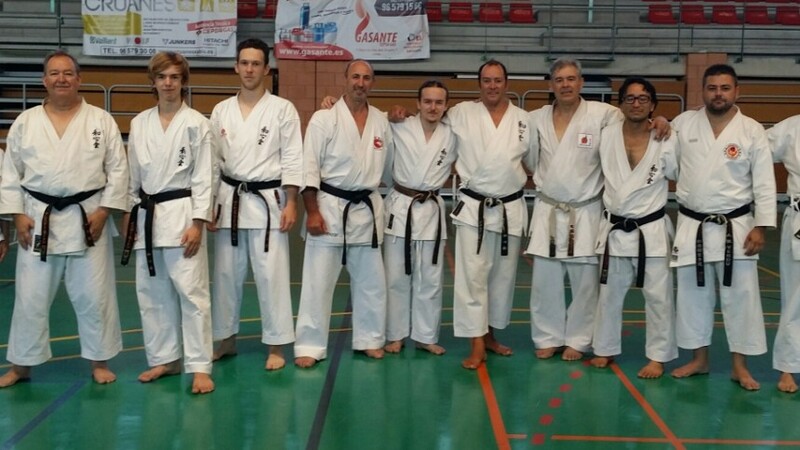 We have just finished a course with Sensei José Abad and a number of Senior instructors from the Valencia Karate Federation which is why everyone looks a little tired. Oss!